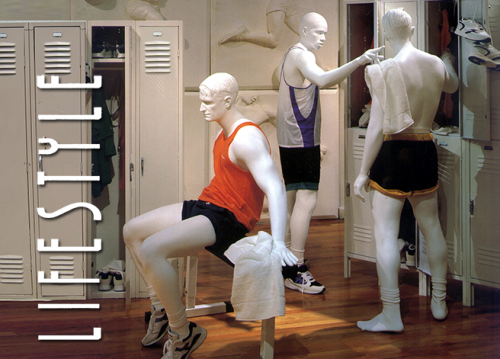 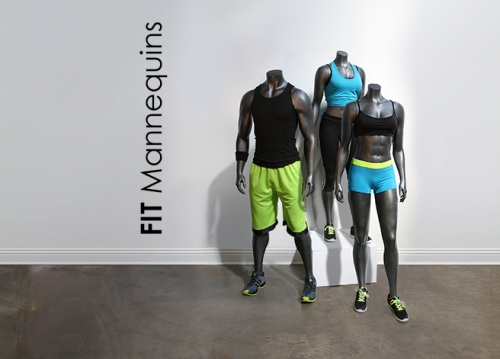 A mannequin in motion sells apparel made to be worn on the run. 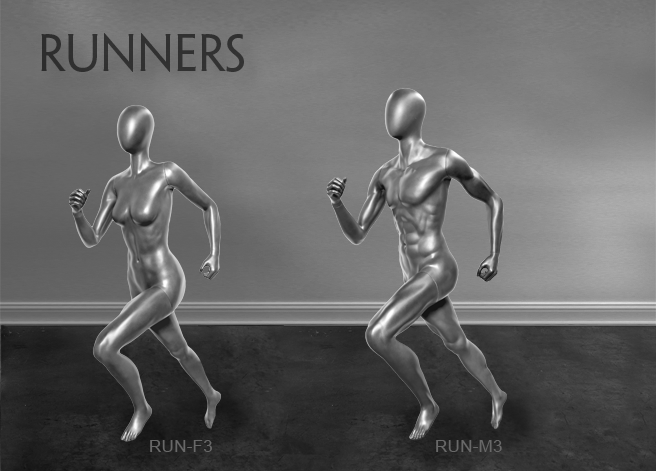 Greneker Male and Female Runners feature toned, muscularly defined bodies designed to emulate authentic running poses. 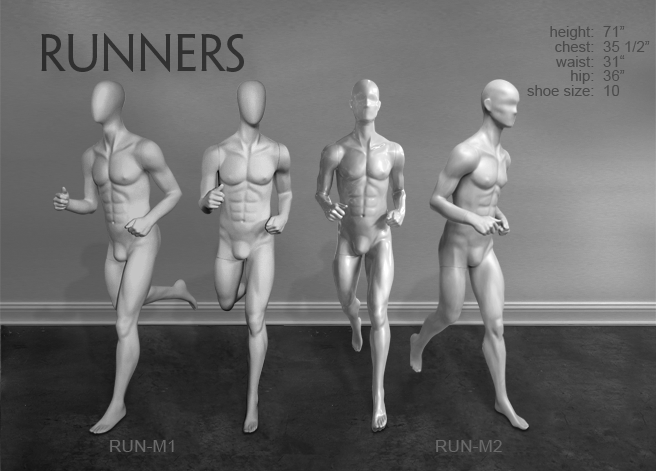 Enthusiasts and casual runners will identify with these sculpted presenters. 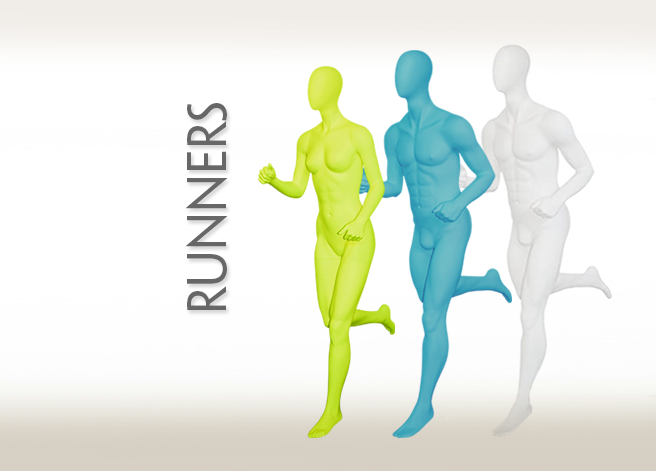 Headless versions in-stock in limited quantities for immediate delivery.